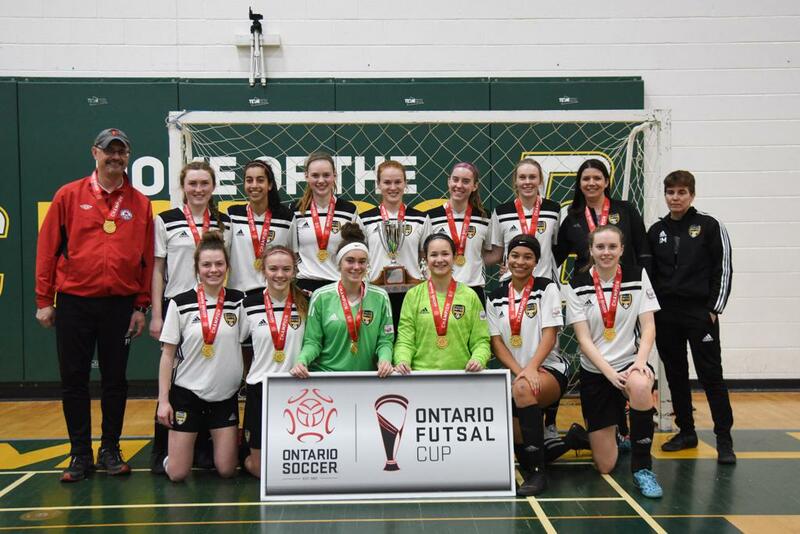 The U-18 Girls Ontario Futsal Cup final featured Hamilton United Elite SC taking on Mississauga Dixie Athletics Black. Dixie advanced to the final by finishing the tournament round with two wins and two draws while Hamilton won three times and drew once. Cara Serapiglia opened the scoring for Dixie in the 9th minute when she was sent in alone by Kaitlyn Rusell. Serapiglia’s shot beat the Hamilton keeper to make it 1-0. Hamilton would answer back five minutes later when a great individual effort by Rachel Rosborough saw her slip in behind the defense and knot the game at 1-1. Only a minute after that, it was Rosborough again for Hamilton as her shot fooled the Dixie keeper and gave Hamilton their first lead of the day, making it 2-1. Hamilton would increase their lead to 3-1 after the second half began as Lauren Ziemer slipped her shot past the Dixie keeper. 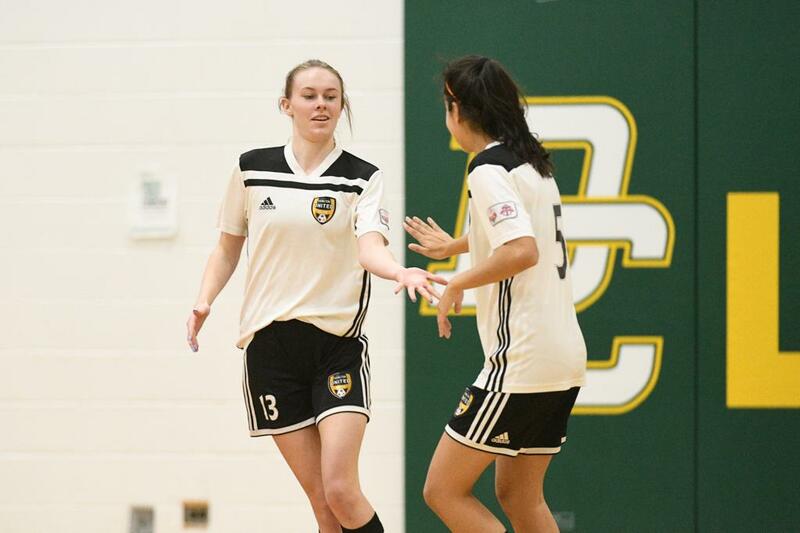 Mississauga responded moments later to make it 3-2 when a set piece found the foot of Tianna Lischchvna and her blast found the top corner of the net. Hamilton continued the back and forth affair when Coral Palmer converted her own set piece to make it 4-2 with 12 minutes remaining. 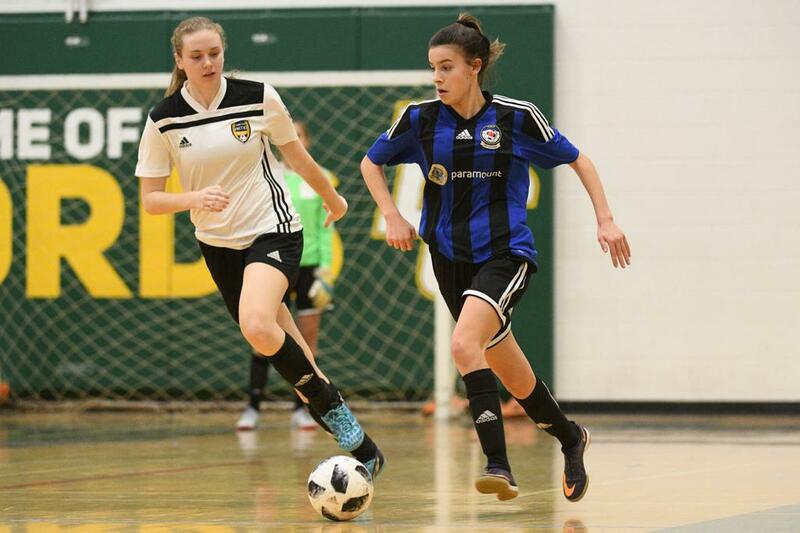 Dixie refused to go away quietly and with under a minute remaining Emily Robitaille brought her team to within one with a shot from well out. 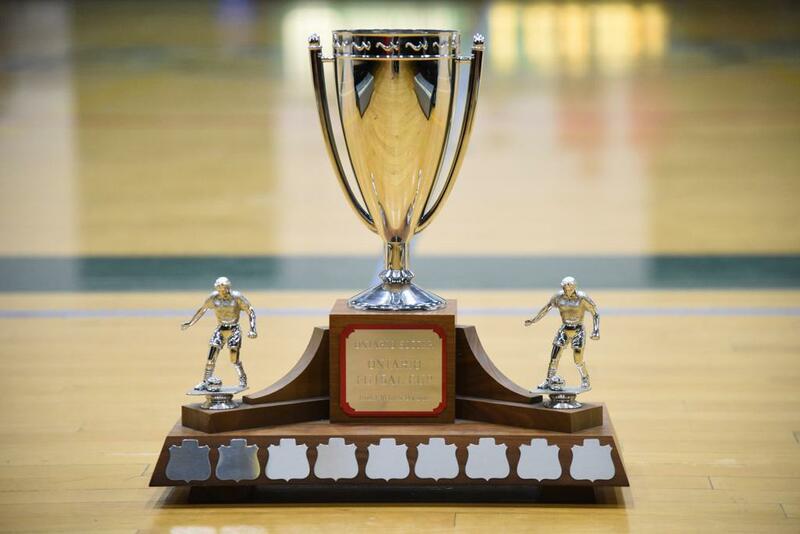 That would be as close as they would get though, as Hamilton closed up shop the rest of the way to capture the U-18 Girls Ontario Futsal Cup.